ORLANDO, Fla. - Hurricane Irma was downgraded to a Category 2 storm once again Saturday, as the storm's intensity continues to fluctuate. 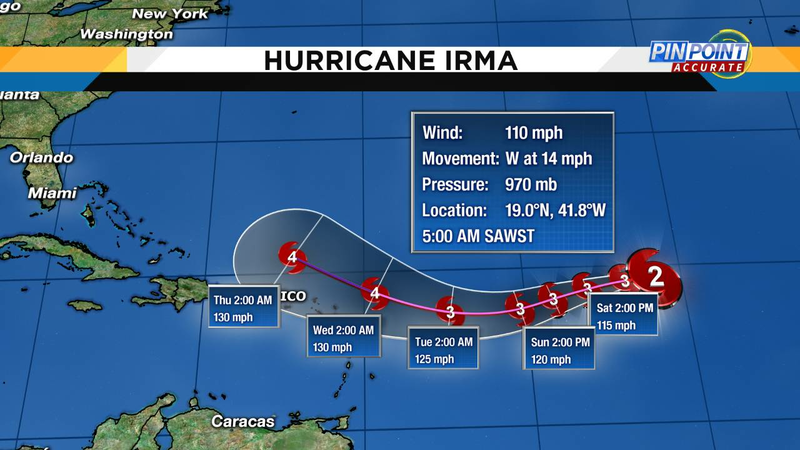 The fluctuation is expected to continue the next five days, but it is expected that Irma will continue to see intensity strength between Category 3 and 5 during the next week or so, News 6 partner WJXT reported. The now-Category 2 storm, with wind speeds of 110 mph, was downgraded Saturday morning after having intensified from a Category 2 early Friday back to a Category 3 storm Friday evening. At 11 p.m. Friday, the National Hurricane Center said satellite wind data indicate that the maximum sustained winds remain near 115 mph. Irma is moving west at 14 mph. The estimated lowest pressure is 967 mb. Irma weakened by the 11 a.m. advisory Friday, but strengthened once again to a Category 3 storm by 5 p.m. New models also suggested that the storm could turn north slightly this week. The storm is headed west toward the Leeward Islands. "The American models take it to the Carolinas by next Sunday (Sept. 10). 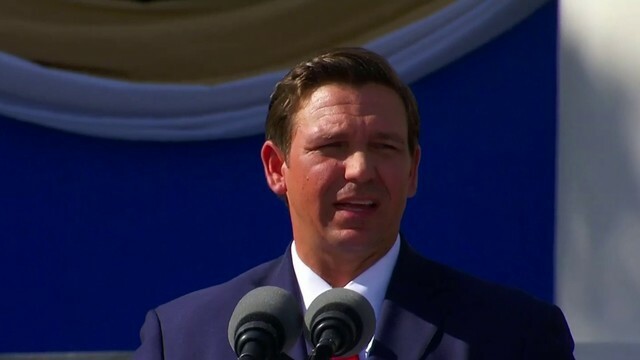 The European models have it going to Cuba and possibly threatening South Florida," News 6 meteorologist Troy Bridges said. 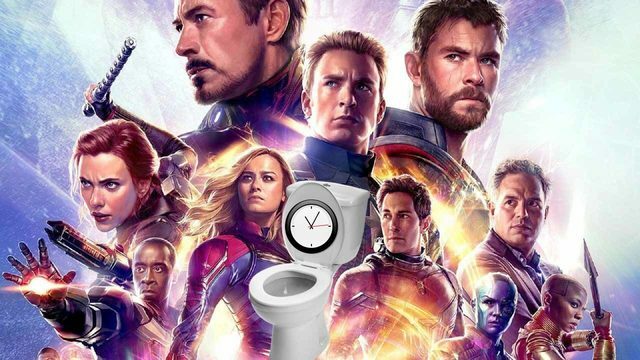 "It's just too early to tell." The system is forecasted to become a Category 4 storm with 130 mph winds by Tuesday. As August ends, the tropics continue to heat up. Remember hurricane season peaks Sept. 10. On average about 35 percent of storms develop during the month of September, with a gradual decrease October and November. Not only does activity ramp up, but the strength of the storms also rise. One of the biggest factors being the warmer waters over the Atlantic, Caribbean Sea and the Gulf of Mexico. Earlier this season, the National Oceanic Atmospheric Association predicted an above average season. They expect up to 19 named storms, nine hurricanes and five becoming major hurricanes. So far this year, nine named storms and four hurricanes, including Harvey, have developed. Moving into the second half of the season, activity is expected to intensify quickly through the end of November. 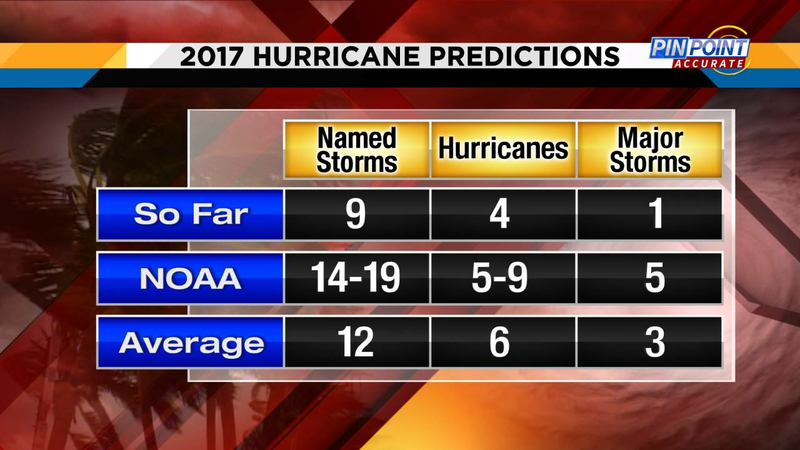 2017 Hurricane predictions compared to what we've seen this season. 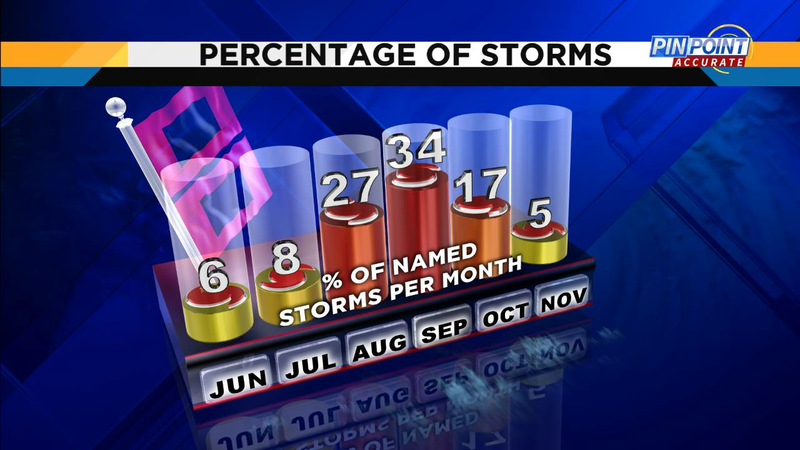 The average number of storms that form during Hurricane season months. "We are watching Tropical Storm Irma in the open Atlantic, which has maximum sustained winds of 65 mph and is moving west at 12 mph," Bridges said. "Long-range models are not in a great agreement," Bridges said. "But some bring it into the Bahamas by the end of next week or next weekend. 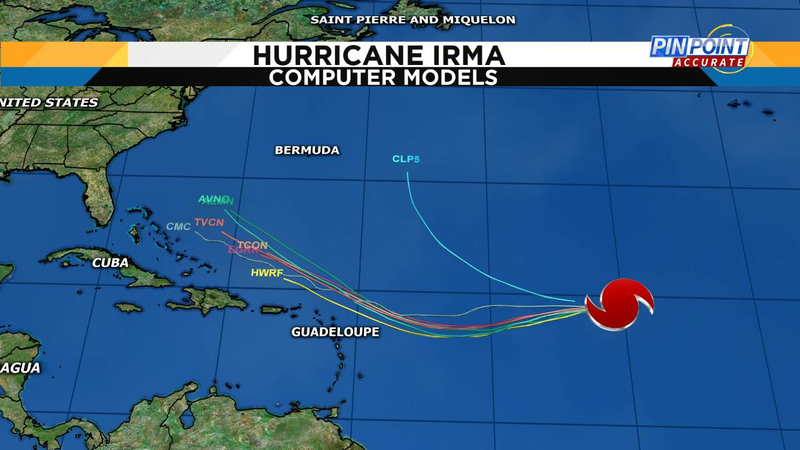 Some models keep it out to sea, but all of them show that the system will be a major hurricane in the coming days." "This low is gradually going to move north into areas of Texas over the next few days," Bridges said. "Any additional rain the system will bring will only add some more flooding concerns for Texas." Tropical Depression Harvey is moving north-northeast at 9 mph. Harvey's maximum sustained winds are 35 mph.